Need some custom work done for your theme? We have an amazing partner who can help! Customization can be any work you need done to the theme that is not covered by the scope of our support. In most cases, this is anything that falls outside of the options the theme offers. We’ve partnered with Codeable, one of the most reputable customization companies around that provides high quality work. Simply fill out the form to get a direct response. We work with Codeable who offers amazing customization services. They are equipped to handle anything you need that is considered a customization job, both large and small jobs. 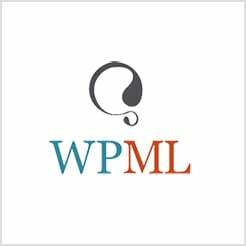 to provide a trusted resource for hiring top quality premium (paid) WordPress support. We are not associated with Codeable and not responsible for the work that is done by our partner but we trust them to deliver quality work through their Codeable Quality Promise. Please note that while we receive a small commission if you choose to use their services, our recommendation is based on the quality of their work alone, and is not based on compensation. Sign up to receive our Newsletter containing all of the latest news and updates fresh from ThemeFusion!